Ming vases are well known internationally for their sophisticated design and simple, yet beautiful decorations. They originate from 15th century China, when the country was ruled by the powerful Ming dynasty and are made from the finest porcelain. Ming porcelain is highly prized around the world and it is easily recognized as one of China’s symbols. During the Ming dynasty, ceramic technique evolved quickly and kilns were able to develop a more refined type of porcelain. During the reign of Xuande, one of the biggest innovations was the preparation of cobalt, the element that gives Ming vases the beautiful blue nuances. Enamelled decoration was also perfected during the reign of Emperor Chenghua. Another technique that appeared during the Ming dynasty is known as cloisonné and was borrowed from the Near Est. 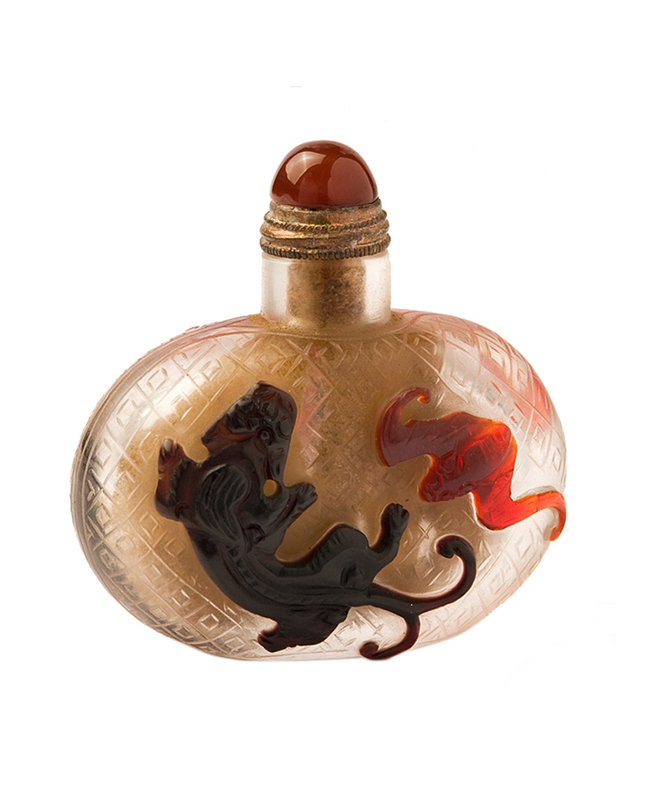 This technique meant that the forms of a vase were first made from bronze or copper, thus creating compartments (cloisons in French) which were then filled with a mixture of glass paste and different oxides, like the cobalt we mentioned before. The metal oxides fusion with the porcelain material and create beautiful enamels that decorated Ming vases. This was a complicated process that required several fillings as the enamel shrunk. But artisans quickly found a solution and they devised a hybrid of porcelain and cloisonné called Duh, after the place in which it was first created. These innovations made Ming dynasty porcelain famous around the world as China started exporting these beautiful vases to other countries. 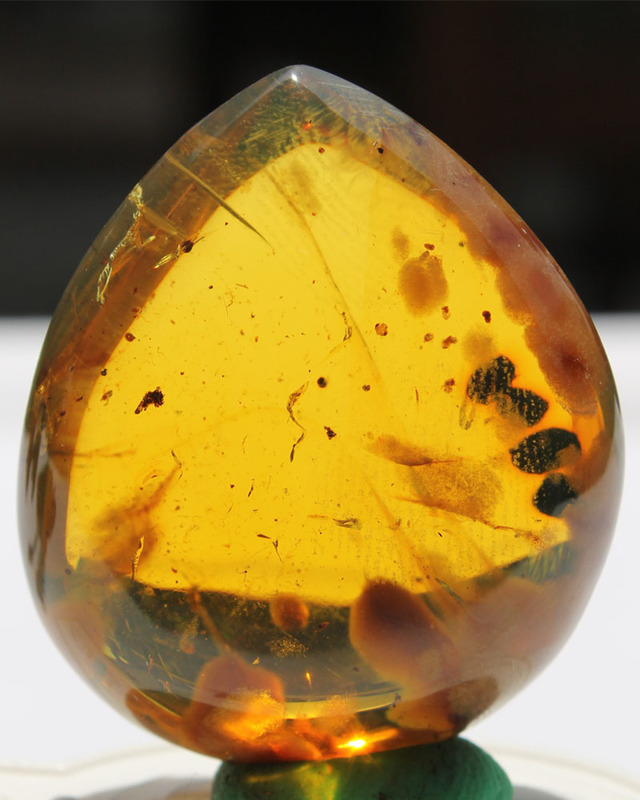 Now, they are sought by collectors everywhere because of their beauty and value. Antique Chinese Red underglazed porcelain Kendi, the body is painted with fish swimming surrounded by plants and flowers, the bottom is marked with a couch shell a symbol of royalty, dignity and high rank. This rare item is from middle-end of the Ming dynasty. Beautiful set of blue and white porcelain enameled, printed and hand painted set of 4 cups. Antique Chinese Blue and white porcelain bowl from the Qing dynasty – Kangxi Period, the exterior is decorated with scenes of sea and mountains. The interior of the bowl is marked with a leaf symbol. 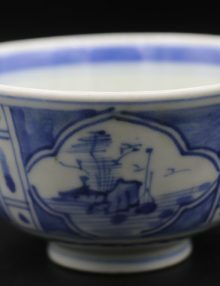 Antique Chinese Blue and white porcelain bowl from the Qing dynasty – Kangxi Period, the exterior is decorated with scenes of sea and mountains. The bowl is marked with a leaf symbol in the interior of the bowl. It has a crack on the bottom. Blue and white antique Chinese porcelain bowl from the Qing dynasty, the exterior of this bowl shows bees with continues lines and three marking. This blue and white porcelain plate is finely painted in light cobalt tones, flower blossom is painted in the center surrounded by double enclosed ring with three gates. The plate show rust spots and it is marked at the bottom. This blue and white porcelain bowl exterior display continues lotus blossom, the interior shows a fish swimming in the water in cobalt tones. This blue and white porcelain bowl exterior display continues lotus blossom, the interior shows a fish swimming in the water in cobalt tones. The bowl was too close to the kiln fire and therefore the color is a bit blur while the porcelain itself has more yellow color on the exterior. You are looking at a rare antique Chinese porcelain vase from the Yuan dynasty, the vase has a double gourd with a round shape, decorated with symbols, phoenix, peony blossom and floral and wave pattern along with some beautiful art works of bugs. This is a very rare piece from an era long gone, porcelain pieces from the Yuan dynasty are considered as very rare, and this blue and white porcelain vase features genuine sign age to support it’s age such as rust spots, kiln firing faults, glaze contractions and rust spots. 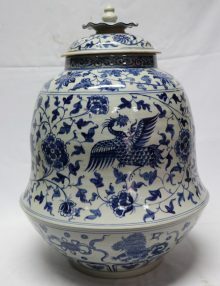 Rare and unique Chinese antique blue and white porcelain Ming dynasty vase, the lower part of the vase is shaped as a big bowl decorate with foo dogs surrounded by clouds, in the center of the vase phoenix birds are painted in blue surrounded by peony blossom alternatively rendered and in profile. 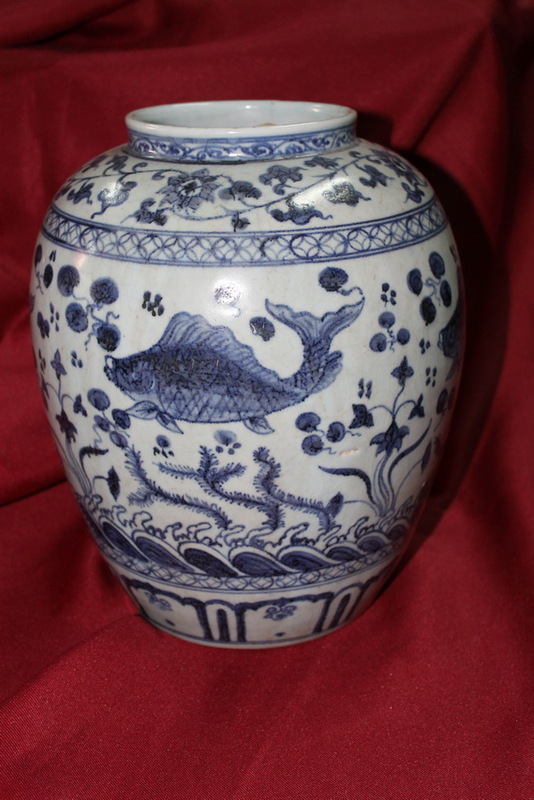 Remarkable early ming blue and white porcelain vase with lizard handles. 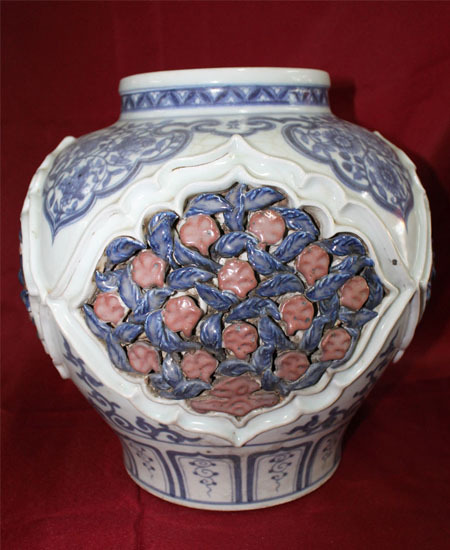 The center of this antique porcelain vase is decoratd with peony blossom alternatively rendered and in profile, on the upper part, enclosed by double frame with diamond shape pattern, paintings of phoenix and 2 lizards shaped as handles. 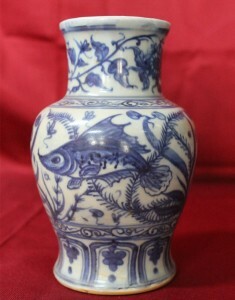 The vase feature a cover with a fish surrounded by roots coming from the center of the cover. The vase has some kiln firing fault, and slightly different shades of colors on the porcelain, due to one side was too close to the fire in the kiln. 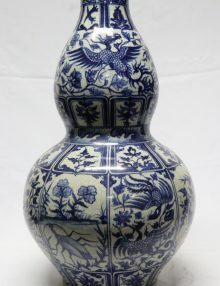 Probably, the most famous Ming vases are those made from blue-and-white porcelain, a distinct style that flourished during the 15th and 16th centuries. 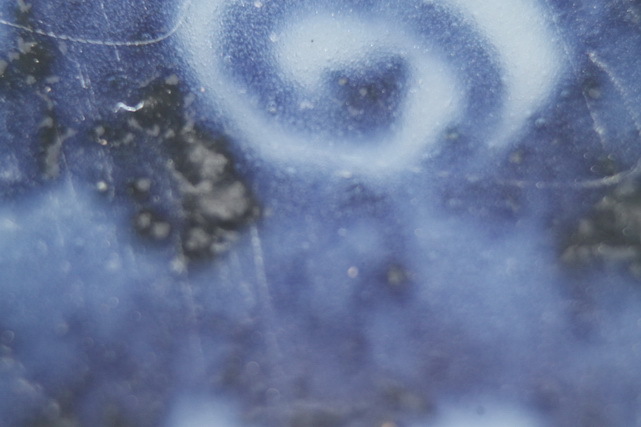 The blue color was achieved by using cobalt oxide, a technique developed during this time period. The images can be drawn by hand, by stenciling or by transfer-printing. 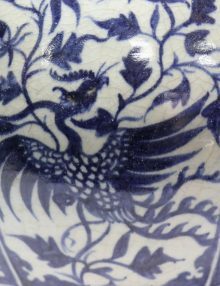 Blue became a popular color in Ming dynasty art (and is still used by porcelain manufacturers in China and Japan) because at the time, it was the strongest color that could resist the high heat required to create porcelain. Ming vases feature a blend of different cultures: Chinese, Islamic and later on, European. The vase patterns often borrow elements from other cultures and soon, Ming dynasty porcelain became famous all around the world. This caused a big boom in the Chinese porcelain industry as the demand for Chinese pottery greatly increased, especially because of Europeans who started collecting the beautiful Ming dynasty pottery. Common patterns included lyrical verses, different sceneries and images of birds, animals, insects or plants. 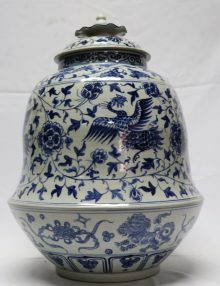 But apart from the well known blue-and-white models, there are many other types of Ming vases just as beautiful. Blanc de Chine, as the name suggests, is a white Ming porcelain that was and is still use to manufacture pottery. It was first made at Dehua in the Fujian province and shortly became very popular in Europe where it first copied at Meissen and from there in other parts of Europe too. Blanc de Chine is famous among other types of Ming porcelain for its perfect blend of glaze and body, giving it a milk-like texture, from which its original name came: “ivory white” and “milk white”. Ming dynasty art featured even more styles, but blue-and-white and blank de Chine are the best well known. A French classification puts Ming vases into different “families” according to their color patters. Ming Dynasty porcelain can be colored green, black, red and yellow. Ming dynasty ceramics were developed mainly in the Southern part of the country in royal kilns. One of the best known provinces for its high-quality porcelain is Jingdezhen. Here, the materials required to make Chinese ceramics were abundant as the province was rich in petuntse (china stone) and kaolin (china clay) and the many forests provided much needed wood to keep the heat up. Ming dynasty art was not oblivious to its neighbors, but instead borrowed important techniques and art motifs. The Islamic influences are notable in Ming ceramics as there are many Ming vases that feature Islamic-inspired images such as the Arabic script and lyrical verses. 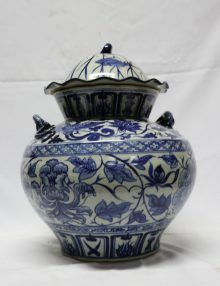 Blue-and-white Ming vases and the cloisonné enamelware techniques have also been influenced by Islamic art. Ming dynasty pottery features some of the most unique ceramic art in history. Highly praised, Ming vases, tea and wine cups as well as plates and other types of pottery developed during this amazing period: the 15th and 16th centuries. Sancai or three-colors. This type of pottery ware was mainly used in ceremonial burial and featured three main colors: green, white and yellow. Although these are the best known patterns, the number of colors used is not always limited to three. These Ming vases and jars were decorated with flower motifs using turquoise, red and green colors. The lines were bolded to imitate the metal strips used in cloisonné. Sincai originated in the North and were made from kaolins and fire clays, fired at lower temperature that contemporaneous ware. Some of the most used burial wares feature camels and horses and were cast in sections which were then connected using clay slip. 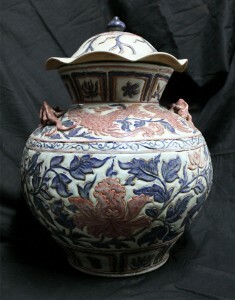 Chenghua pottery. Developed during the reign of Chenghua, this style of Ming dynasty porcelain was often used to decorate small wine cups with chicken motifs. These “chicken cups” as they were nicknamed were highly appreciated by Chinese scholars and later on, by collectors. Wucai (Five-colors). Unlike the more modest Sincai style, Wucai wares are bold, vivid and colorful , and feature floral and intricate patterns. 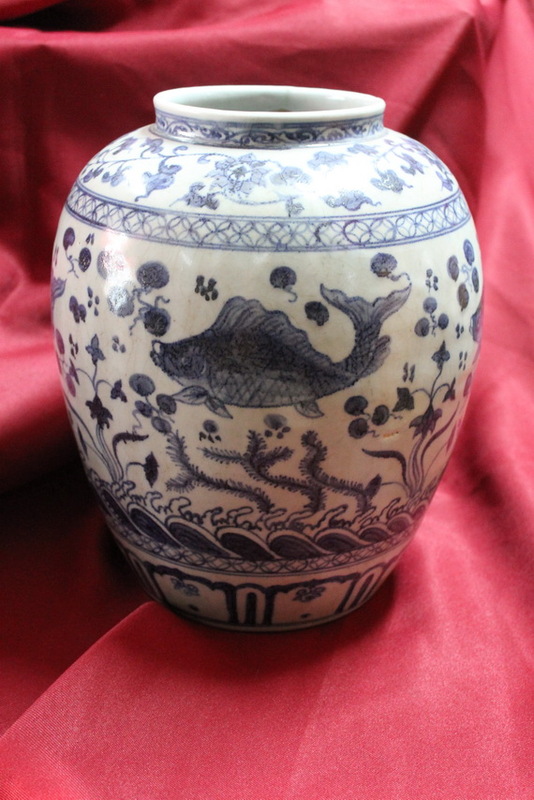 Images of fish and dragons often appear on these Ming vases. The use of red and orange shades is also notable. Yixing Ware. A list of the most important Ming dynasty pottery could not be completed without a cup of tea, or better yet, without a teapot. As Chinese scholars developed a taste for tea, proper Ming pottery appeared to fill the need. Yixing wares do not feature colorful Ming dynasty art, but they are famous for their nice precise shape and simple designs. 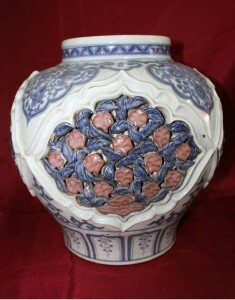 A Ming dynasty vase is highly praised in today’s market. Purchasing an authentic one could cost from a few hundred dollars to a few thousand. Collectors everywhere compete with each other to get the best prices and most importantly, the best wares. 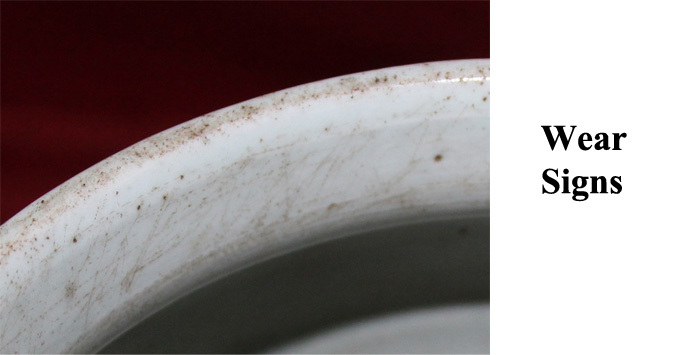 Because of the high demand for Ming dynasty porcelain, many industrial produced fakes started to appear. Those who sell fraudulent Ming vases rely on the poor knowledge of their victims and on the “attractive prices” they offer. 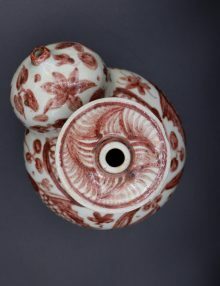 Knowing how to recognize a unique Ming dynasty vase is now an important skill that every collector must poses. A good understanding of Chinese culture along with a solid knowledge of technical details is needed in order to become an expert. Translucent and not opaque. True Ming porcelain made in the 18th century has one important quality: it is translucent and not opaque. 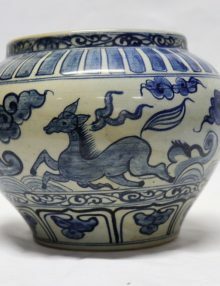 Many people forget about this important easy to verify property of Ming vases. Look at the motifs. Ming dynasty vases will usually have some specific motifs, meaning that on them, you can see certain patterns and images. A most common image is that of a dragon. Flowers and fish are also well known and used images. Study the mark on the vase. Ming dynasty porcelain was strictly controlled to ensure maximum quality. 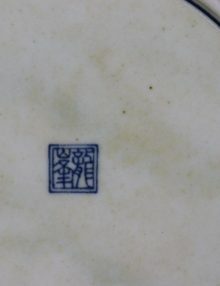 The best porcelain was reserved for the nobility and featured an “imperial mark”. The mark was the name of the Emperor during whose reign the Ming vase was manufactured and they were written using Chinese characters. If you see something like “made in China” on your “Ming vase”, it is probably a fake and not worth your money. 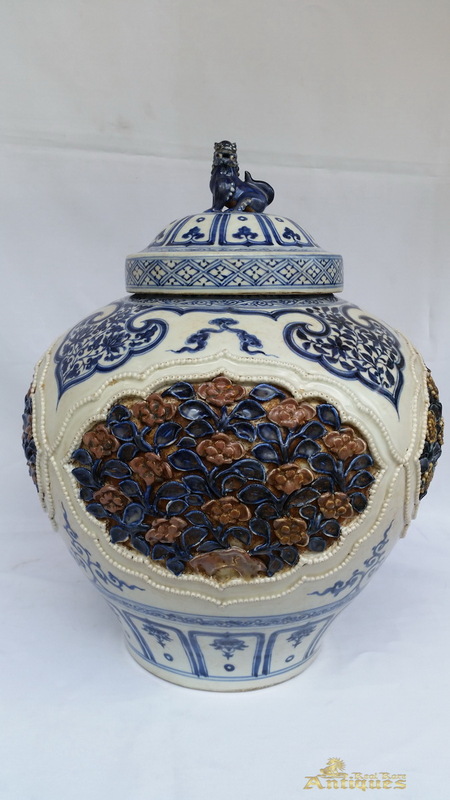 Ming dynasty art is responsible for most of the beautiful porcelain vases we have today. Although it is mainly known for the ceramics it decorated, Ming dynasty art was developed in other fields as well such as painting and architecture. But of course, it excelled in ceramics. 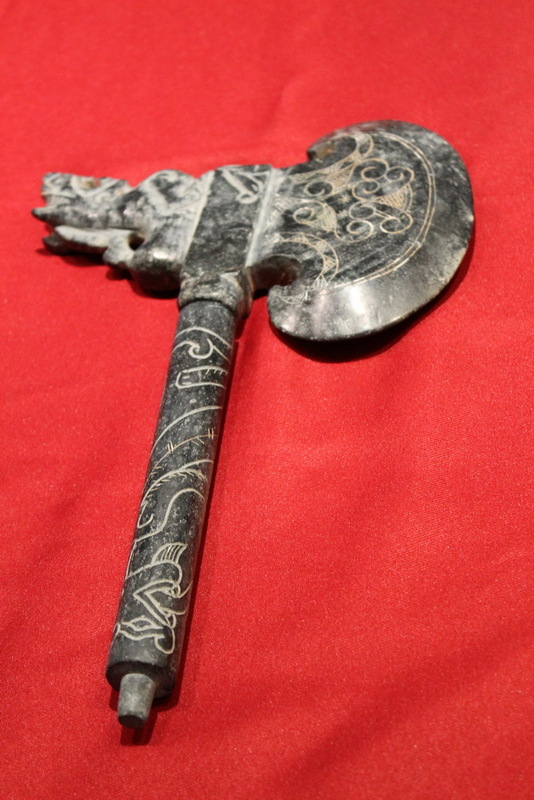 Ming dynasty art is easily recognized, even by outsiders and armatures, thanks to its repeated use of some unique motifs, such as the dragon and the lotus flower. The colors are also important. 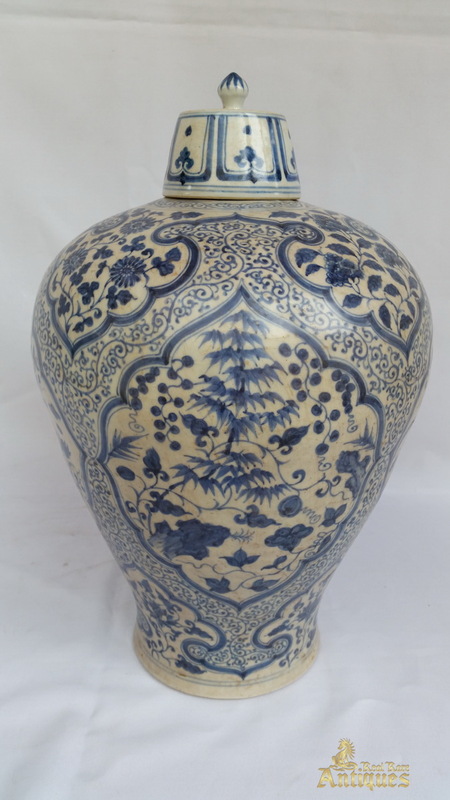 If someone sees a blue and white vase, he/she will instantly associate it with Chinese art. Ming dynasty art can be defined by finesse. The patterns were carefully drawn on the porcelain, most often by hand. Major artists contributed to Ming ceramic artwork and before the European caught a taste for it, Ming porcelain was already famous among Chinese countrymen scholars, nobles and merchants who collected the wares themselves. Ming dynasty art used mainly four colors and their shades to create beautiful drawings on porcelain: blue, green, red and white. Nothing is more beautiful than a Ming vase adorning your coffee table in your living room. If you want to buy a Ming vase or other type of Chinese ceramics, you have plenty of options. There are many markets that specialize in Ming porcelain. However, as we have already pointed before, you need to know some basics about Ming dynasty porcelain to distinguish a fake from a genuine vase. Ming vase prices can vary greatly, but in most access you should expect to pay a few hundred dollars. One of the biggest online markets for Ming vases is on Ebay, where you can find many models put up for auction. You can determine the price of a Ming vase by looking it at its mark and then searching for more information online. If you cannot recognize the symbols (which are written in Chinese), consult a web catalogue or visit your local library for one. Look through the pictures until you can identify your vase. After you know what type of vase you have, research its history. See where and how many were made. 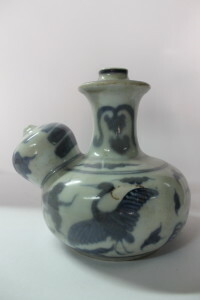 A Ming vase price can be very high for older wares. If you have an original Ming vase, you can sell it for a few thousand dollars. Ask for many pictures showing important details. You should be able to clearly see every inch of the Ming vase you want to buy. Ask the seller to provide detailed pictures of the vase’s mark. The picture should be high quality and not blurred. Make sure you only buy things that you can easily return. See if the seller agrees to give you a refund in case you are not happy with the product. This will make shopping for antique Ming porcelain a lot safer as you will not lose money if you buy something fake. Be well informed. Always know what to buy! The strongest advantage a collector has is his/her knowledge about the product. Make sure you visit different auction websites to read about the history of the vase you intend to buy. Also, you should spend time learning to recognize different patterns used in Ming dynasty art. If you have decided to buy a Ming vase, being well informed is essential. And doing research about these beautiful vases is rewarding in itself as you will come across some of the most beautiful ceramics ever created. Ming vase prices will probably go up in the future as they become rarer, so if you have one at home, you may try to sell it or just keep it for your own pleasure. 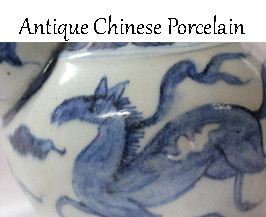 Antique Chinese porcelain is art forms that have developed since the periods of dynasties. The first forms of porcelains were made about ten to eleven thousand years ago. Porcelain in the south china is made from molten rock that has quartz and mica content while in the northern china the use clay that has alumina and less mica. These Chinese porcelain range from construction materials for example bricks and tiles to hand built pottery vessels that are strengthened by strong fire in the kiln and bonfire. 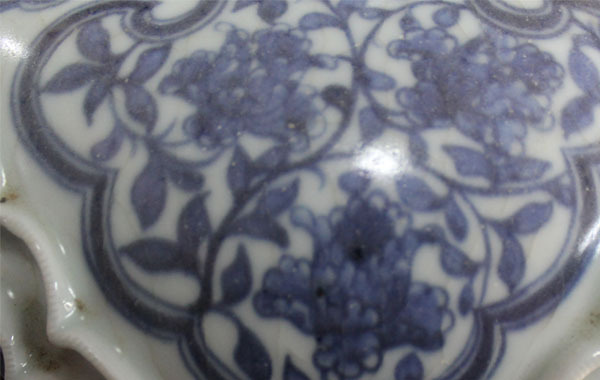 The antique Chinese porcelain that was made to look sophisticated was for the imperial courts. There are two types of Chinese porcelain which are classified according to the amount of temperature used to heat. The low fired porcelain are commonly known as tao. they are fired in temperatures between 950 and 1200.those that are heated in high temperatures are referred us ci and they are mostly heated at the temperatures of 1250 to 1200.in the earlier century they were molded using the hands but with the introduction of potter’s wheel in the Neolithic period the wheel was used in the modeling process to increase the uniformity of the vessels. Over time the vessels were improved by giving them new touch due to the improvement of technology. Examples of the vessels are the three colored ware and the qingci that gained favor in the court. The three colored ware was produced by the tang dynasty. It had the colors bright yellow, green and white hence the name. They not only resembled the bowels but also the camels. The qingci ware bluish-green and were characterized by there simple and elegant shapes. These porcelains were very popular in all dynasties and could be exported to other regions like southern Asia and Egypt. 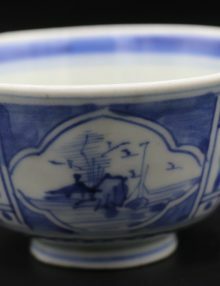 The Yuan dynasty that was in existence between 1279 and 1368 baked the blue and white porcelain. 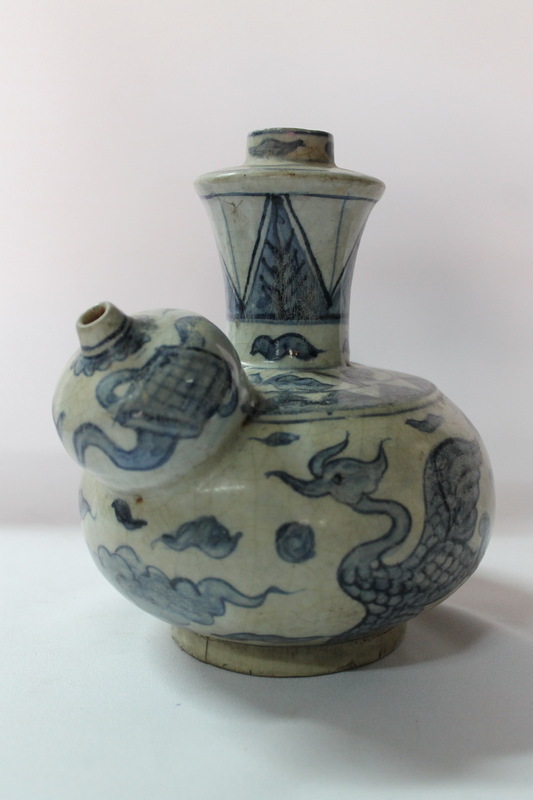 During this period cizhou, Jun and longquan wares were highly supplied in the local market. The lingdezhen factory was still used in the production of wares. During this period there was the establishment of official fuliang porcelain bureau. The establishment happened in 1278AD. the main function of this bureau was to supervise and manage the production of porcelain in Jingdezhen for official use. The porcelain was baked in the high temperatures. These type of vessels were characterized by there purity of their kaolin clay bodies. 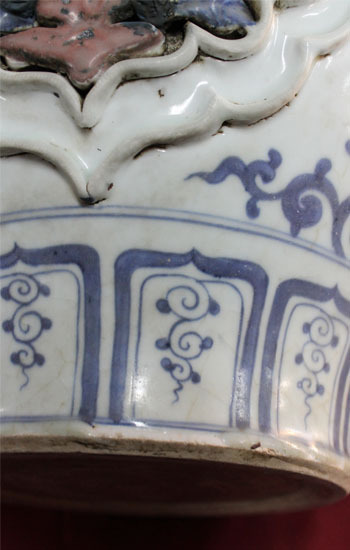 The blue and white ware replaced the cizhou iron brown decoration. The dynasties the proceeded this one perfected the se blue and white wares that they came to represent the virtuosity of the Chinese potter. The dynasty the perfected mostly these type of porcelain was the Ming dynasty that produced the blue and white wares that were so superior to any other period. The Yuan court came up with policies to encourage the export of the porcelain to the oversea. The longquan celadon was most popular export as it could be seen in large quantity in the oversea. Also the numbers of kilns that were used for its production were many.Shufu wares were also exported. The jun wares were also popular export. The jun wares consisted of plates, bowels and a small number of jars, censers and vases.cizhou wares were mostly produced for domestic purposes. The main decoration for this ware was under glaze iron-painted black or brown painted motif. The time of Qing dynasty that was in existence between 1644 to 1911 the porcelain were highly enriched by the innovation of the five colored wares. 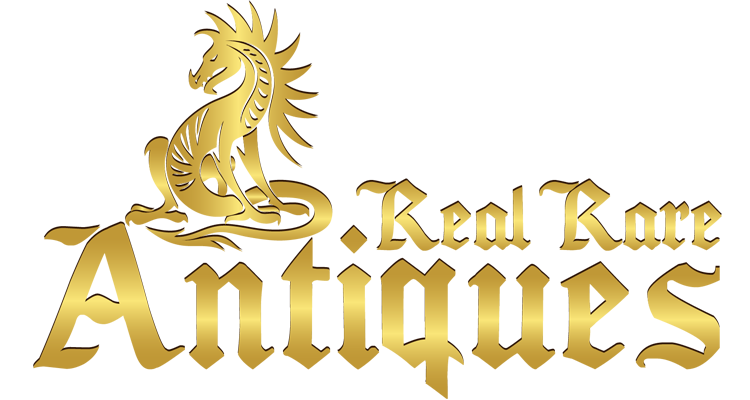 The production of this ware was being done at the jindezhen factory that was rebuilt by King Kangxi. The antique Chinese porcelain wares that were mostly produced were the bowls, dishes, incense burner and small vases with under glaze blue, over glaze enameled decorations. The wucai technique was used to decorate the wares. The improvement of these wares was seen during his reign.the potters could be seen using bright colors in plates and vases .the potters usually applied a variety of under-gaze pigments to schemes of flowers that were decorated. They also applied the colors to the landscapes and figurative scenes .these forms of wares have gained a lot of popularity in the western countries. In majority of the museums found in the European countries you will find these wares that were popular during this period. The colors that were mostly used for decoration were blue, pink, red and yellow.the production of this porcelain declined towards the end of this dynasty due to political instability which affected the art. The antique Chinese porcelain factory during the Ming dynasty that existed between 1368 and 1644 was located in Jingdezhen. 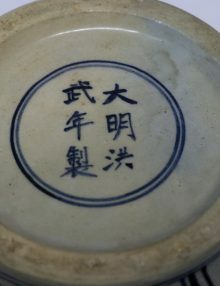 The antique Chinese porcelain that was made to be used in the court was exquisitely and they were marked reign mark of the emperor himself. 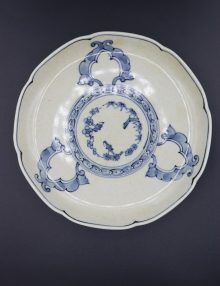 In addition to the monochrome wares and the blue and white porcelain the factory produced it also produced jihong, jiaohuang, wucia and doucai. These types of wares came to be produced due to the innovations in the period. These porcelains also held significantly the history of development of Ming dynasty porcelain. The dynasty also used to exports the wares to the outside world in huge amounts. During the reign of wanli the potters introduced kaolin which gave more whiteness to the vessels. This property was most sorts by the buyers of the vessels. This material also strengthened the vessel. In the production process the kaolin was mixed in equal proportion for effective result. 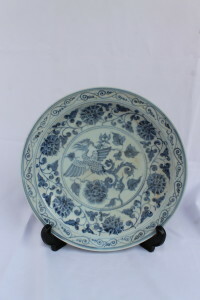 Antique Chinese porcelain has been admired by many people in the world. Many communities have been seen trying to copy these process when making the vessels. Many regions in the world have accepted this art and this could be seen from the large mount of these wares that the Chinese government in exporting. 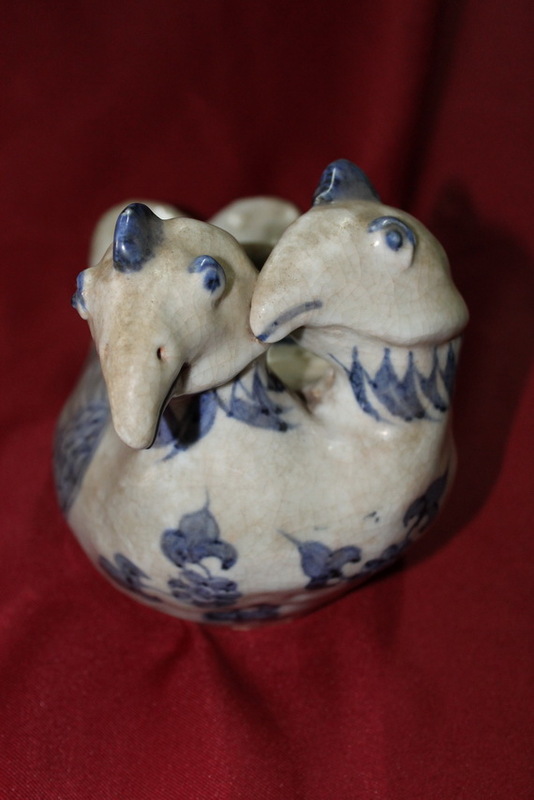 Individuals everywhere on the planet take joy and charm from gathering outdated Chinese ceramics. This is most probably due to the fine item and warmth discovered in the realm of stoneware. 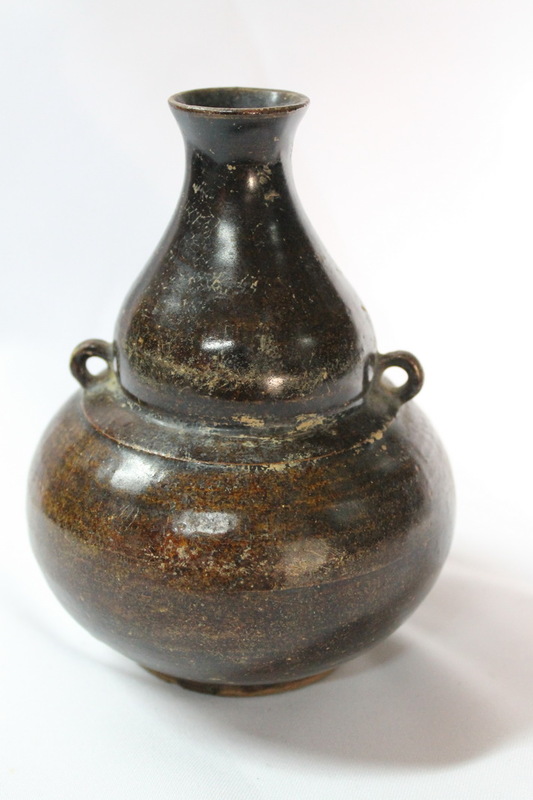 A huge determination of outdated Antique Chinese stoneware is accessible available today. 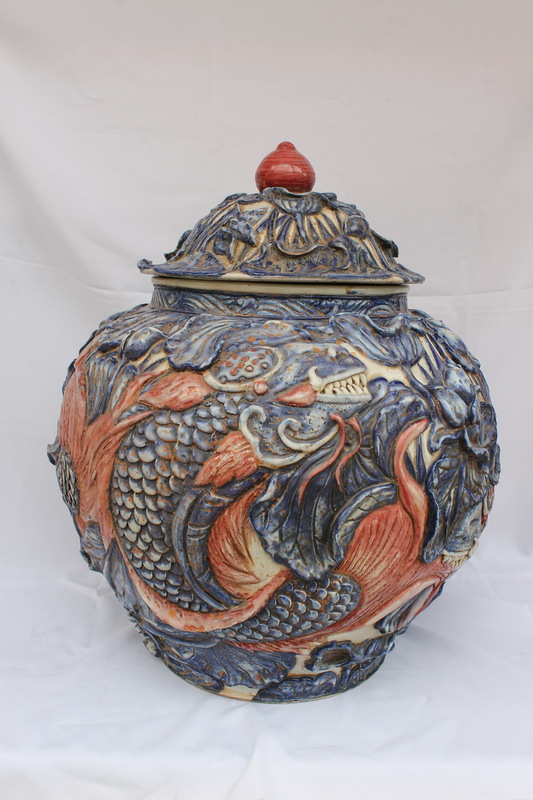 For those in search of Antique Chinese pottery, porcelain, and ceramics manufactured hundreds and even many years prior, there are numerous decisions to add to any growth. Recognizing outdated stoneware is a skill that could be studied by anybody with a real asset in ceramics gathering. Coming to be skillful at recognizing stoneware from such a long and charming history as China’s requires a level of skill, not needed with numerous different sorts of outdated gathering. It is dependably best to make a request for help from specialists like appraisers and merchants. 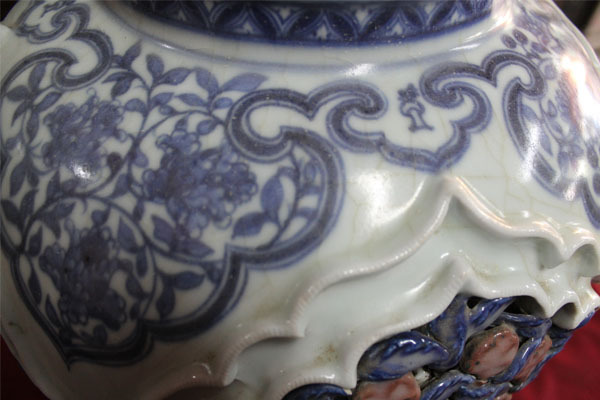 The cause of generally outdated Antique Chinese Pottery or blue and white porcelain is challenging to confirm. Unlike European white or blue porcelain, generally Chinese ceramics was not printed with the manufacturing plant of birthplace. Real pieces may not show the typical denote that might demonstrate now is the ideal time and area of root. Fortunately, the physical presence of the piece can go about as a suggestion. A percentage of the vital attributes to break down when assessing a piece’s validness are: shape, figure, coat, cobalt, foot edge, and design. The parts matter. Particularities as unique brushstrokes in the painting of the piece are used to assign a true from a fake. An additional approach to charge a piece’s realness is a side-by-side correlation between a piece that has been established and one that has not. Outdated antique Chinese stoneware is responsive and open to various ecological components. Frequently age could be evaluated from a piece’s available physical condition. For the real gatherer or merchant, the support process starts with study of ceramics stamps. Consider ceramics checks as a timestamp for the period and the signature of the potter who made the piece. Since a great packet of the Antique Chinese pottery handled throughout the hundreds of years has no markings whatsoever, the genuine surrounding area of an imprint is one of the most ideal approaches to both date the piece and verify its genuineness. In the meantime, it is not compulsory to the determination of trueness. Stamps on the bottom of a piece usually give generally reliable real qualified information. 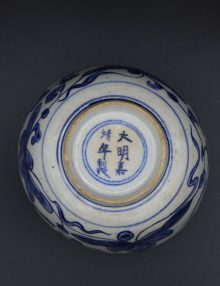 On account of blue and white porcelain made for rule, a set number of calligraphers were accused of setting the Imperial Seals on the pieces. Close review of the imprints for a particular calligrapher’s penmanship will give an in number evidence of trueness. 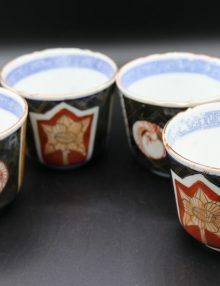 Antique Chinese earthenware markings ought to be utilized as a part of combination with different examination, for instance physical testing and survey by a judge. Imprints are the most widely recognized sign of birthplace, yet the translation of the imprints is to a great degree complex. Truth be told, the imprints may not be illustrative of the real time of production. 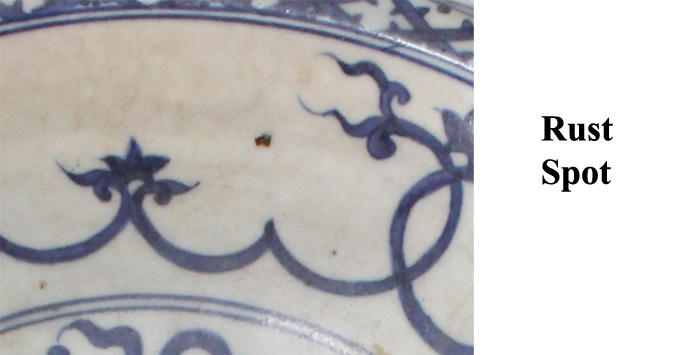 Throughout a few lines, earthenware was related to signs of a prior rule. While the area of imprints makes the confirmation method simpler, they can’t be the sole, or even the essential, indicator of the piece’s origin. Meeting with an expert appraiser or merchant is greatly suggested soon after the buy (or bargain) of an object from olden times. Recognizing real earthenware pieces from duplicates is a muddled procedure. It includes an extraordinary arrangement of study and active experience. This is generally not conceivable for the easy gatherer. The administrations of these experts incorporate evaluations, Certificates of Authenticity, consultation on beginning or developing an accumulation, administration of acquisition exercises, and arranging delivering and protection scope. There are no alternate ways in this procedure. In the event that a piece’s validness is basically essential or an open value is to be paid, it is dependably best to take a step back to get the assumption of a master judge. 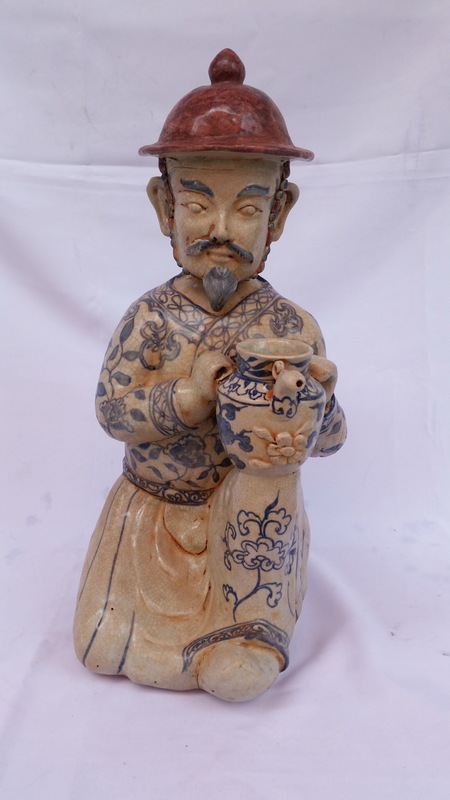 If you are interested to learn whether a piece you have acquired is real antique Chinese pottery, click on the bottom to view our identification service. The Ming dynasty was founded at 1368 AD and was replaced by the Qing dynasty in 1644 AD. As far as it concerns Chinese Antiques, it was a golden age for porcelain. There are many antiques that was exported and traded with European countries and those antiques are extremely wanted by private collectors those days. Those pieces are known as Ming dynasty porcelain. 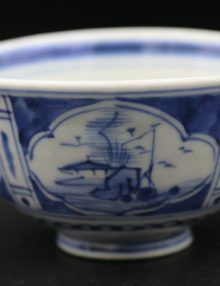 During the Ming dynasty, the blue and white porcelain trade has flourished and the technique of making porcelain was improved. The main mass production kiln “Jingdezhen” has started to produce the blue and white porcelain, it was possible due to a trade of cobalt blue from the Persians. To understand the Ming dynasty Porcelain we need to go back to before the Han people has reclaimed their country back from the Mongols. 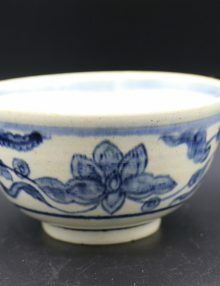 Although the blue and white porcelain has started during the Tang dynasty and was continued in the Song dynasty (Song dynasty is more famous for the Celadon glazed porcelain) but has started to been used regularly during the Yuan dynasty. The early Ming dynasty porcelain vases were inspired directly from the Mongol style, using some repeated motifs in the painting, until it has evolved few years after and the Chinese Han people were starting to add their own examples for the paintings and designs. During The early Ming dynasty Vases and plates were still unglazed. 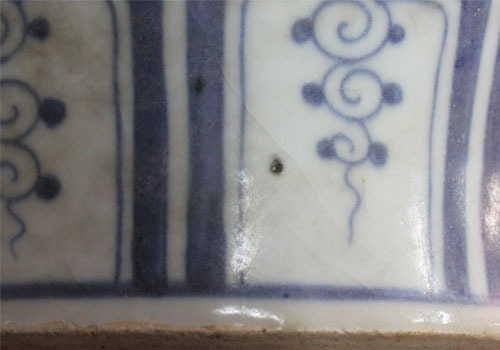 Only during middle Ming period the porcelain has evolved and we could start seeing glazed bottoms and emperor marks. Another thing that is very common among Ming dynasty porcelain antiques is Kiln firing faults. Since the technology wasn’t develop as today, and in order to heat up the clay they were using wood based kilns, so the temperature wasn’t really in control and the position of the items had a factor as well. This have led to many imperfections caused by broken plates, bowls or other porcelain pieces that were heated too much and explode inside the kiln, hitting other items that are still in the process. Sometimes you can find other broken porcelain pieces that are stuck with other items. 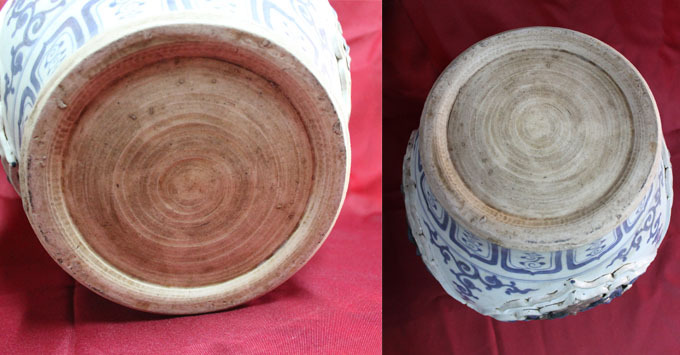 Kiln firing fault is very common and can help identify Ming dynasty porcelain pieces. Some porcelain items were far away from the fire and the color was pale when it came out, and some items were too close to the fire and their shape or color has slightly changed. 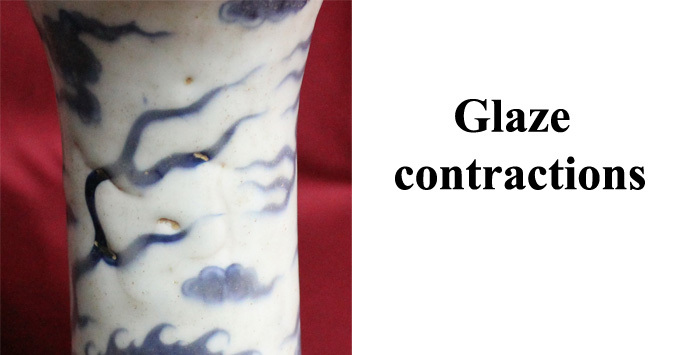 Another common thing you can find usually on Ming dynasty vases are glaze contractions which was caused by from flecks or some oily materials and prevented from the glaze to cover the porcelain at some points. 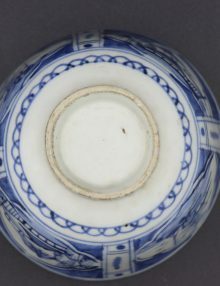 This is important to remember, since 70% of the Ming dynasty porcelain had kiln firing faults, and only perfect pieces were being used by the imperial court. So If you want to purchase a Ming dynasty vase, plate or other porcelain. Examine the piece carefully and look for any of those signs, it can help determine whether the items is a real antique or not. Another thing you can do to study the subject better is to read books and look at museum pieces and private collections if you have the chance, find magazines of the big auction houses and study the shapes and designs that are presented there. Each period during the Ming dynasty was inspired differently and the changes in the country and the development of technologies can help you learn more about Ming dynasty porcelain. 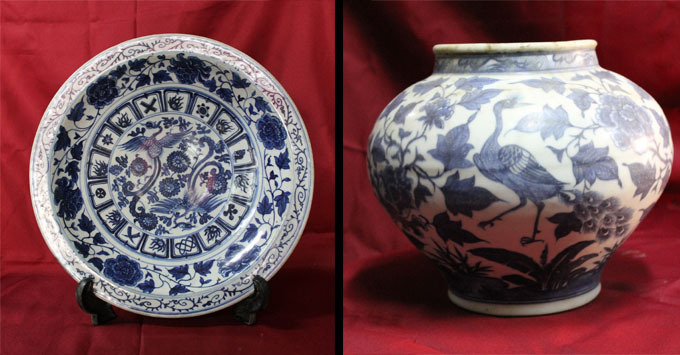 We offer some Chinese antiques for sale, including Ming dynasty vases, plates and other porcelain items. To examine our collection click here. Due to high demand for Chinese antiques for sale, the prices keep going up. 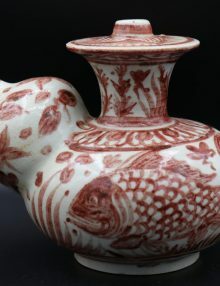 During the past few years, some remarkable auctions have exceeded the price for Chinese porcelain, and some rare antiques have been bought for millions of dollars in Christies, Sotheby’s and some other big auction houses. 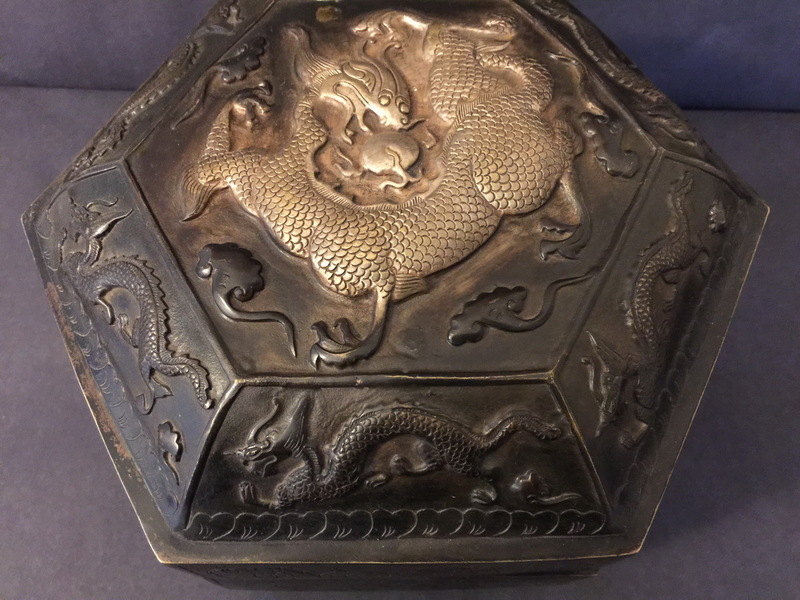 Most of the high bidding buyers are actually Chinese that wants to bring the history back to China, however there are many other collectors around the world that are constantly looking for Chinese antiques for sale. Some are going to real auction houses and participate in the bidding activity. 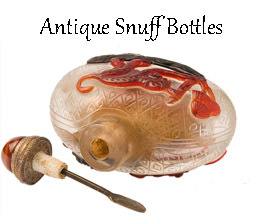 However due to the internet development today many people are selling and buying antiques online. Whether you are a collector, investor or you just love the beauty of Chinese antiques and want to purchase some pieces for decorating your living room. 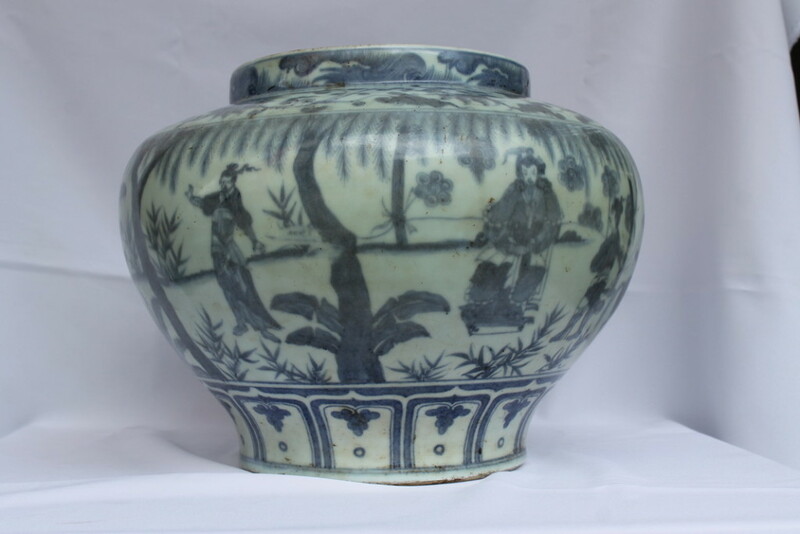 When looking online for Chinese antiques for sale, it is always better to be careful and cautious. There are many fake antiques sold as genuine. One of the main places those fakes are coming from are China itself, it is important to understand the law in China in order to avoid buying mass produce items. China has forbidden the trade of Chinese antiques outside of the country, and this law is punishable by death… This means if you are buying antiques from a Chinese supplier, you better be extra careful, as most of people will not risk their life just to have some Chinese antiques for sale on the internet. So if you are encountering Chinese antiques for sale from China itself, it is better to avoid it as the chances those are real antiques is extremely low. Currently on China, some of the ancient kilns are still working, only this time they are mass producing Chinese porcelain using molds and distributing them around the world. Many antique shops we have encountered are selling those fraudulent items and claiming they have real Chinese antiques for sale. While the truth is, their items are 2-20 years old, and were made to deceive people. The forgers are trying to make fake age signs as well, so you might look at a piece that has an old appearance, but actually was made not a while ago. How To Avoid buying Fake Chinese Antiques? It takes time to master the art of distinguishing between the real and the fake. However there are few things you can take into consideration before you rush to buy some Chinese antiques for sale you have encountered. here some of the basics principles that can help you avoid buying fakes, although there is much more to it, while taking into consideration the ideas written below, you will be able to distinguish between Chinese antiques for sell and just modern made Chinese pieces. – Look at catalogues of the big auction houses, and start getting familiar with the shapes, patterns and items quality. – When you encounter a piece you like on the internet, make a research and see if anyone else is offering the exact same piece, and compare between the prices, the shapes and the quality of work. 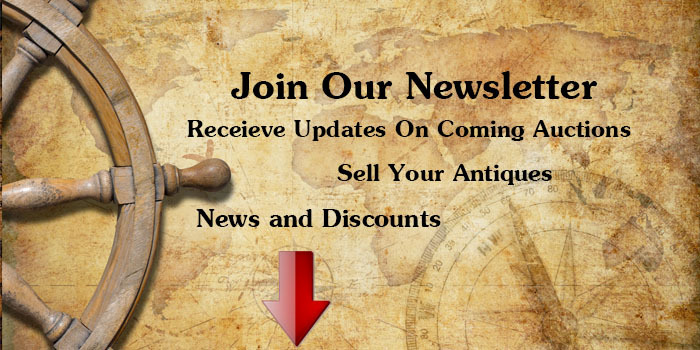 – Check if the seller that offers the Chinese antiques for sale is reputable. 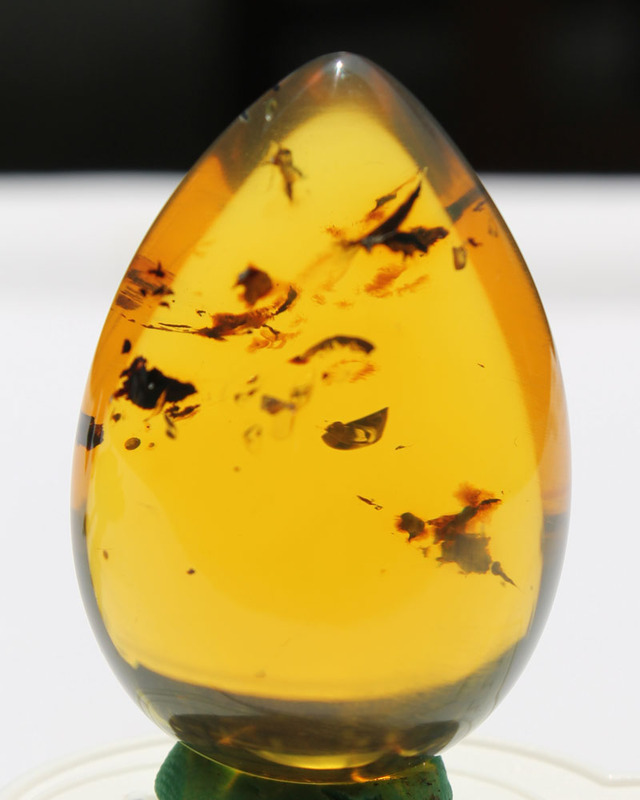 – Study the age signs, and whenever looking on Chinese antiques for sale, look for those age signs. Those are only some Tips you can use when looking for Chinese antiques for sale, take them all into consideration, and don’t forget to always be skeptical and ask questions, eventually it will lead you to the truth about the items that are offered for sale. In this post i would like to show you the differences between my Yuan dynasty porcelain vase and the new made porcelain that you see today in the market, copy based on this style. First thing you can see is the big difference between the shapes of the two pieces, on the left side,a real Yuan dynasty vase, while on the right side with the cover, a new made porcelain from Jingdezhen which its shape is much more ellipse then the real antique porcelain. 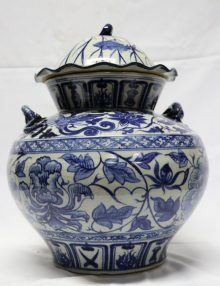 since in the old times, the kilns were wood based, and not gas based as today, what have made the makers to be without any control on the fire level and temperature, especially during the Yuan and Ming dynasties, many of the porcelain had kiln firing faults, which you can see as small imperfections in different variations. another thing you should take to a consideration is that in the modern world to make a wood based kiln will cost a lot of money, since wood is expensive compare to gas, off course i do believe some of the kilns who try to make forgery (however those cannot be mass produce kilns, but private ones) maybe are trying to use wood based kiln in order to make an item appear more genuine, but this is risky, since the temperature cannot be controlled and they risk of loosing precious time and materials. as you probably know, the mass produce kilns are using Molds to create the porcelain, what makes each piece to be exactly in the same shape, however if you will look closely on the real Yuan dynasty vase you will see a shape that will be too difficult to achieve since the mold will not be able to support it because of the almost square shape. 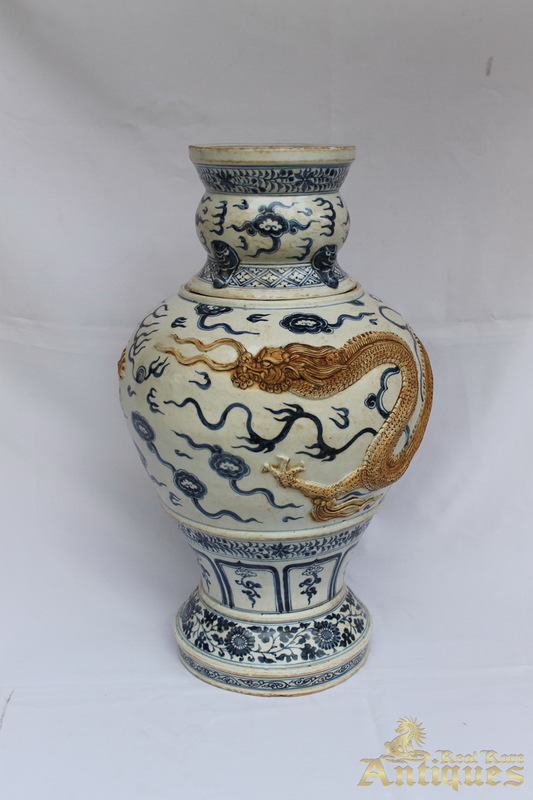 another thing you should take to consideration is the material that have been used, with the original vase the porcelain is made of a high quality and the vase is very heavy, it weights 10.5 kilograms, while the forgery ones weight less. 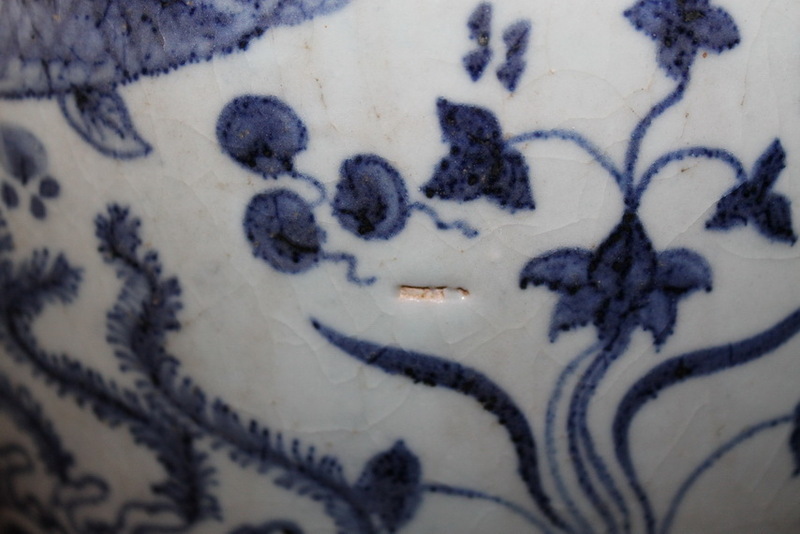 even though it is possible to create artificial crackles, those usually happens in the end of the firing process when the outside surface cools before the clay underneath, small crackles can also happen during years of use and wear, you can see this vase has some crackles in different parts of the porcelain, after close examination with magnifying glass, those crackles appear to be genuine, you can see their yellowish/brown color that it is due to its age. The color is another important element to check, as if it match’s the period color, since some colors were only available in different periods, it can point out to an answer wherever the item is genuine or not, and also approximately the year it was made, note that many of the porcelain today is made with chemical color, which to trained eye is easy to detect. you can see some of the iron that was mixed with the color start to go to the surface of the porcelain, which bring me to the next point. Since clay has some impurities, being a mineral coming from the nature, mostly it has iron mixed with it, after few hundreds of years, the iron start moving to the surface and it become oxidized when touches the air, and receive black to brownish color, usually you can find rust spots from Yuan/Ming dynasties, since enough time has passed since then, and the iron had time to touch the surface, Qing dynasty porcelain, usually does not have any rust spots, although you can find some pieces who has it, but it less common because the clay material in the Qing dynasty has developed and the porcelain is of higher quality. You can see my vase has some rust spots in different parts of the surface. as mentioned above, the kilns were based on wood, and it was impossible to control the temperature and the wild fire inside, this have created many kiln firing faults, which can be seen as imperfections such as glaze contractions, small breaks, it can happen from another vessel which have exploded in the kiln from the heat, throwing chips everywhere, it can be seen as discoloration if the porcelain was far away from fire, if it didnt receive the appropriate temperature or was over heated, such imperfections were happening during the Yuan/Ming dynasties for about 70% of the heated wares, the other 30% were appropriate for official uses. 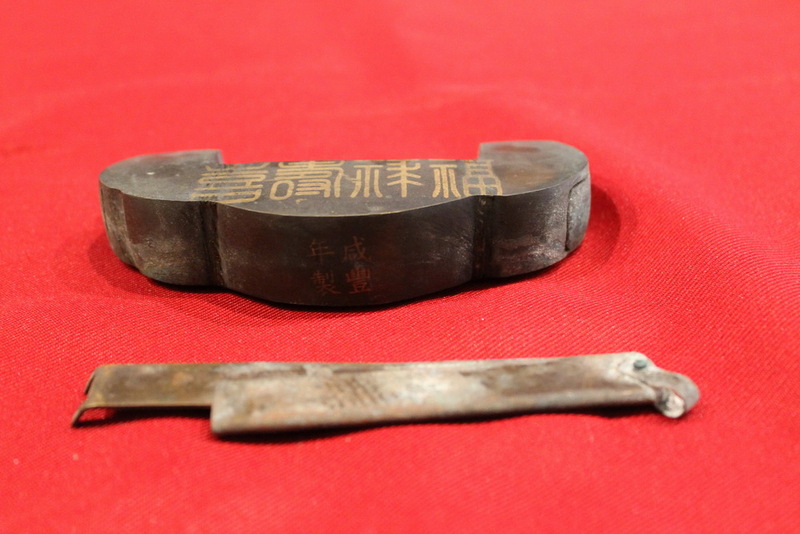 Although you can certainly find a perfect piece from Ming and Yuan dynasties it is uncommon and you should look for other age signs and be very cautious. Think about porcelain who is 700 years old, people must have used it at some point, unless it was buried in the ground for the whole time, and before it was buried it must have been used (off course there are exceptional, but most of the porcelain items will show some age signs) look for signs of use and wear, look at scratches on the surface, at the bottom, look for signs that this item really existed 700 years ago, as you can see in the pictures, my Yuan dynasty vase has some breaks and chips, it has scratches to the surface and shows many signs of use. This is a genuine, real, antique Chinese Yuan dynasty vase. an Extremely rare piece, in every condition. 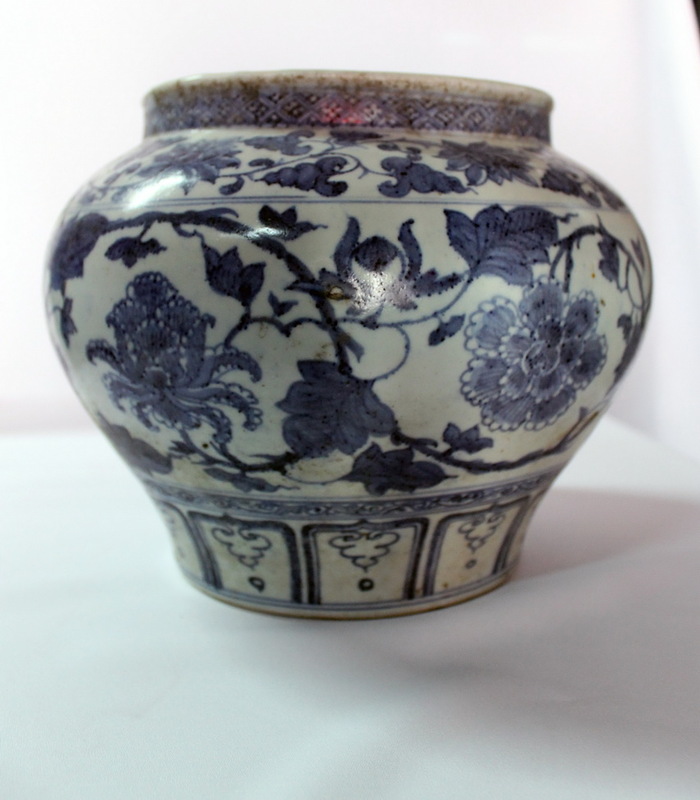 The more the interest for Antique Chinese porcelain is growing, the more we can see forgery flooding the market. The best way to determine if a piece is real antique or not, is to study the bottom of the piece, and look for age signs. Most of the Antiques that were made during the dynasties period were heated at wood burning kiln. Today the mass producing kilns are using gas burning kilns to heat the porcelain. Wood based kiln will cost too much money and it’s very difficult to control to temperature. Even if you have studied the bottom of a piece, and you are sure 100% the bottom is old, some forgery today is made by using real antique bottoms that is fixed on a new made porcelain to deceive the buyers. So you must check as well age signs on the surface of the porcelain, such as Rust spots, which are quite difficult to fake in the way it appear naturally, after hundreds of years, when the iron oxide is coming out to the surface. 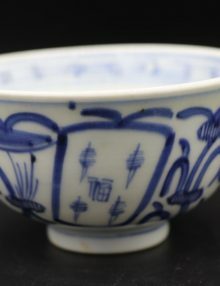 Another thing you will want to check is if the design of the porcelain ware is match for the period, look at catalogues, Museums, private antique collections, see the shape of the wares during each period, the style of painting all this can lead you to whether the item you are looking at is real antique. also important to keep in mind are “Kiln firing faults”. during the Yuan-Ming dynasties the art of porcelain making was still not at its best, and many imperfections were happening. Imagine large southern egg-shaped kiln, the fire is burning inside at 1200-1400 Celsius degrees, the hottest part is near the firebox, at the opposite end of the kiln, near the chimney was cooler, some wares are sitting at the far end, some are touched by the fire, some wares didn’t last and explodes, their chips hitting other wares. 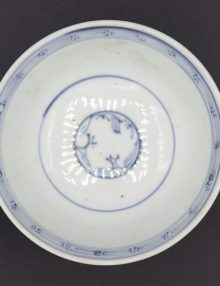 only about 30% of the wares during the Yuan and Ming dynasties were coming out perfect from the kiln, so look for those signs of kiln firing faults, as well as for glaze contractions, which has been caused by a fleck or oily material which prevented from the glaze to cover the porcelain at some parts. Always look for age signs, think about an item that exsist 500-700 years, people must have used it sometimes, it might get scratches on it, or other signs that it was used, if there are no signs to it, alert a big question mark if this item is real antique, altough some might have been cherished and kept in a very good condition, most of the antique porcelain was used, and therefore should have some evidence. off course if an item has been used it does not indicate it as antique, since the people who make the forgery today can make an item appear old, or make fake wear signs. In the next articles I will show some examples of wares, fake and real, and show how to detect a real antique porcelain piece and a fake one. Porcelain is a ceramic material, discovered by the Chinese Han people, it is made by heating raw materials, such as: Kaolin (Clay mineral), pottery stones, Feldspars and Quartz. Those mixed materials are heated in a kiln at 1200-1400 Celsius degrees. Although proto-Porcelain wares has existed since the Shang dynasty (1600-1046 B.C. ), glazed ceramic wares have developed in the Eastern Han dynasty into porcelain. During the Sui and Tang dynasties (581-907 A.D.), large variety of Chinese Ceramic wares has been widely produced, low fired ceramics and high fired porcelain wares started to be exported to the Islamic world where it was highly valued. In the Song dynasty (960-1279 A.D.) porcelain manufacture has started to be more organized, and the kiln sites were able to do a massive amount of porcelain, Jingdezhen was established as the main production site for imperial porcelain. 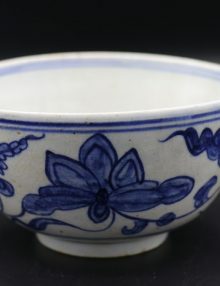 The Ming dynasty (1368-1644 A.D. ) started to export porcelain to Europe, Africa and Asia, in massive quantities and controlled the porcelain trade, in Europe, Chinese porcelain has been of much value and was tried to be copied without success for many years. 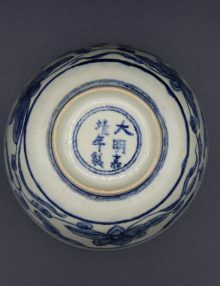 Throughout the years of the Ming empire, the designs and structure of the porcelain has been developed, new techniques were developed, The porcelain material has been upgraded, and the Chinese discovered new ways to strengthen it, using high quality clay materials and making glazed bottoms. Ming Dynasty Blue and White Porcelain Wares.